The July 23rd, 2016 attack on peaceful Hazara protesters was the deadliest attack since the fall of the Taliban regime in 2001. 107 Hazaras, the majority of whom were university students, were killed and over 500 others were wounded in a double suicide attack followed by a volley of gunfire by unknown gunmen. Although the national as well as the international media initially reported 84 were killed and over 230 wounded, as time passed it became clear that the number of casualties was significantly higher than indicated by these initial reports. 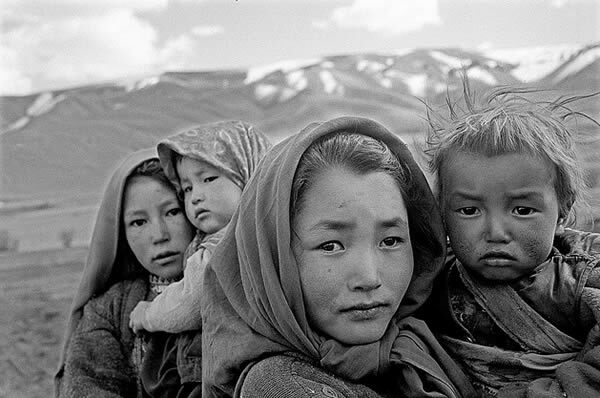 Over the past three centuries, Hazaras have been massacred, their lands have been grabbed by numerous Afghan governments and they have been forcefully displaced. Deprived of their citizenship rights, they have been living in their homeland as if they are aliens. Over 62 percent of Hazaras were massacred by the Afghan King Abdur Rahman Khan between the years 1890-1892, and much of their lands were seized by the Afghan government during that historical period. 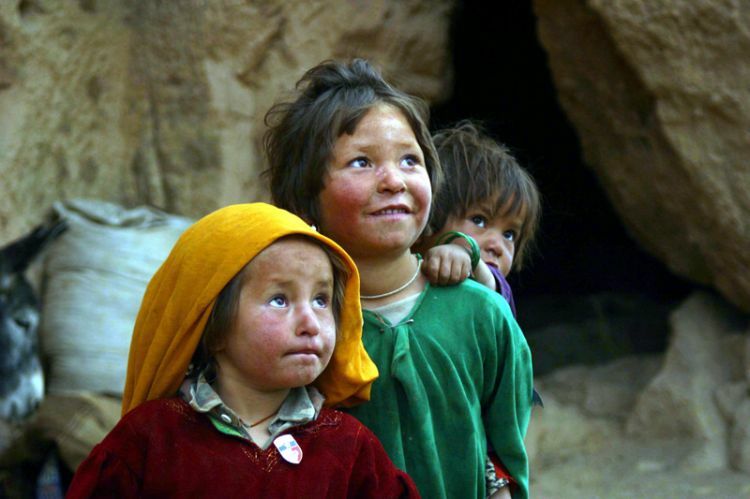 Currently, Hazaras live in remote, mountainous areas of central Afghanistan. They almost always, in subsequent years, have been deprived of their due rights. 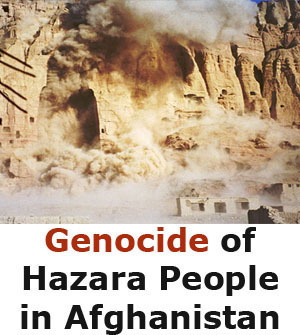 During the Taliban regime, Hazaras were massacred inhumanely in different cities such as the Kanda Pusht area of Zabul, Baghlan, Mazar-e Sharif and Bamiyan. 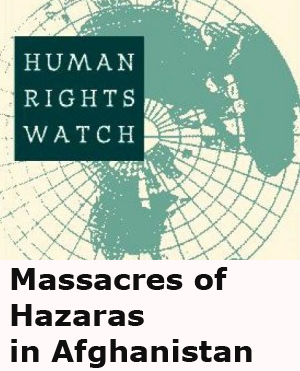 Based on reports by human rights organizations, the Taliban systematically massacred over 8,000 Hazaras including women and children in August 1998 during two days in Mazar-e-Sharif. In addition to several mass killings of Hazaras in Bamiyan, the Taliban also demolished the two Buddha statues of Bamiyan, which had been the most important historical and cultural symbol for Hazaras. After the fall of the Taliban, Hazaras took part in all political and democratic procedures of the new Afghanistan state. However, systematic discrimination against them continued. Despite the presence of the global community in Afghanistan and billions of dollars in foreign aid to the country, very few development projects were considered for Hazaristan, the Hazara-inhabited areas of the country. There are few paved roads in Hazaristan, schools of these areas are often working without buildings and students have to attend schools in open areas. The government has not built any hospital or health center of the place where Hazaras live and the few hospitals present in Bamiyan have been built by international organizations such as the Agha Khan Foundation. In Bamiyan, the heartland of place, currently thousands of Hazaras live in caves where they are deprived of any services by the government. All routes ending in this area are considered insecure as dozens of Hazara passengers are abducted and then murdered by terrorist groups on a daily basis. 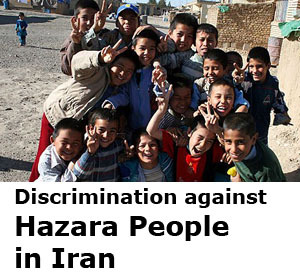 Due to the existence of such a situation, Hazaras have often staged peaceful protests against systematic discrimination over the past 14 years. Their protests have often focused on becoming beneficiaries of the basic services which should be provided by the government to every citizen. Hazaras have repeatedly come to the streets to protest against their deprivation of security, poor roads and health and education services. However, their protests have not received adequate attention from the Afghan government and the global community. Over the past 2 years, thousands of Hazaras were forced to leave Afghanistan, seeking asylum in western countries, as they had suffered from insecurity and the continuation of systematic discrimination in their homeland. 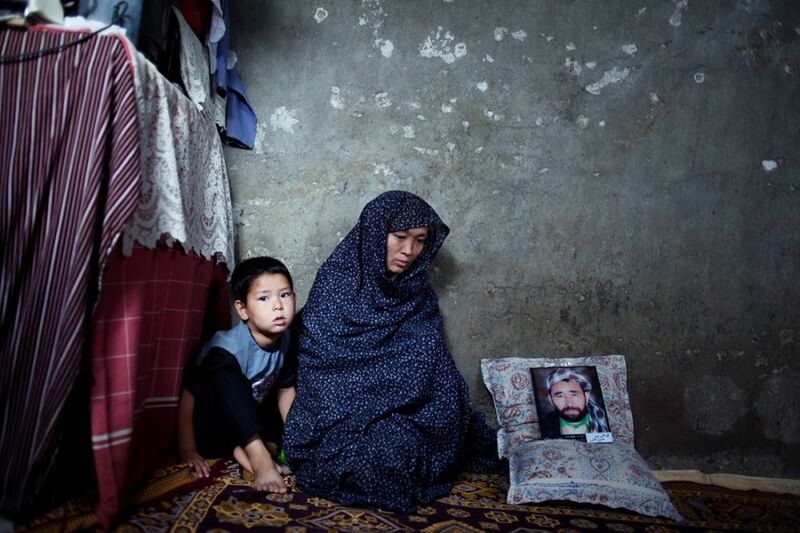 Between the years 2014-2015 over 140,000 Hazaras had to flee from Afghanistan. They do not have any hope to live their life in Afghanistan where their lives are in constant danger. Widespread protests following rerouting of the electricity master plan. As discrimination against Hazaras became more widespread in 2016, a significant number of Hazara activists, especially students and academics, decided not to remain silent about discrimination anymore. In order to fight systematic discrimination, they formed small groups inside and outside Afghanistan that observed the important issues of the country and acted against discrimination and injustice. 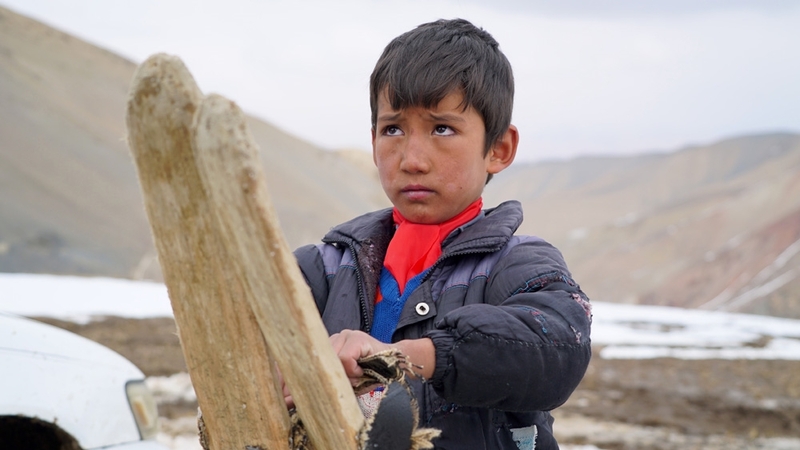 In April of the current year, Afghan media reported a sudden change to the route of a 500 kV power transmission line originating in Turkmenistan through Salang, rather than Hazara-inhabited Bamiyan. Based on the 20-year electricity master plan of Afghanistan prepared by a German firm named Fichtner, the line was expected to pass via Bamiyan after routing through the northern Afghan provinces. However, the Afghan government, in a hidden session on April 30, 2016, decided to route the line through Salang, rather than the impoverished Hazara-inhabited Bamiyan. While the government cited cost and length of time for construction as reasons for the change, because the Salang route incudes considerable drawbacks, it can only be supposed that the real reason for the change was discriminatory policies against Hazaras. Following the change in the route of the line, Hazaras inside and outside Afghanistan quickly protested against the Afghan government’s decision and a blatant discrimination against Hazaras. Just a few days after the government’s decision, and following many protests which started in Bamiyan and then carried on in many cites throughout the country, thousands of educated Hazaras gathered in western Kabul in the area called Mosala of Shahid Mazari (Mosala). In the wake of the protests which had started in Bamiyan these Hazaras formed a civil movement called the Enlightenment Movement to show their protest against the government’s decision. The Enlightenment Movement is led by a specific group of students and academics called “The People’s High Council”. The People’s High Council set a two-week deadline for the Afghan government to annul its discriminatory decision and to route the line through Bamiyan. They also threatened that Hazaras from all around the world, but particularly in Afghanistan would carry out acts of civil disobedience and stage protests. After about two weeks passed, Hazaras staged a huge protest in Kabul and other provinces on May 16, 2016. 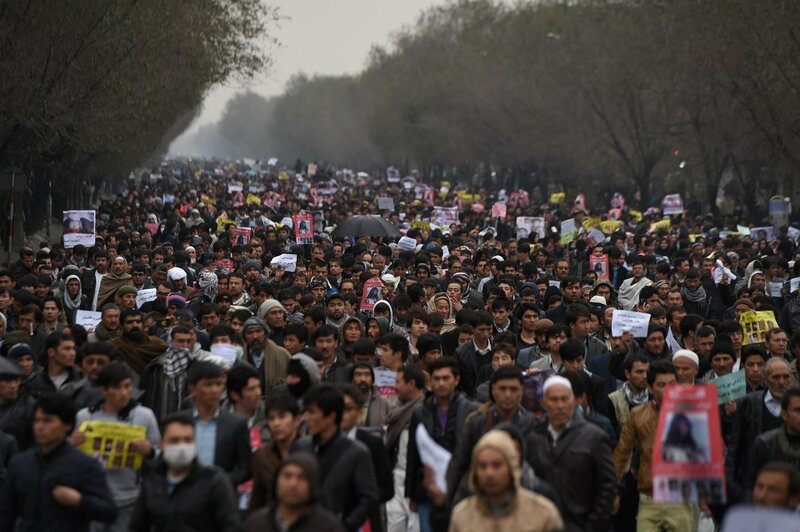 Around one million people participated in a protest in Kabul in which they tried to reach the center of the city to stage a sit-in in front of the presidential palace. However, the government blocked the path to the palace by blocking roads with shipping containers. The huge crowd stayed in Dehmazang Square for hours and chanted slogans against systematic discrimination. Although the majority of protesters intended to remove the obstacles to continue their march towards the city center, the leaders of the Enlightenment Movement prevented them from doing so. The People’s High Council to the Enlightenment Movement decided to end the protest without resorting to violence. On that day, government forces had been deployed to different parts of the city with enough equipment to suppress the protesters, leading organizers to believe there was a possible threat of bloody suppression.. Following this strategic retreat, the protests of the Enlightenment Movement continued outside Afghanistan. Hazaras in Australia, Canada, the US and different European countries staged protests against the systematic discrimination of their countrymen in Afghanistan. During the NATO Summit in Warsaw, Poland on June 9, Hazaras from different European countries gathered and staged a widespread protest. Because of the potential embarrassment and controversy that might have been caused by the presence of Hazara protesters, the Afghan president Ashraf Ghani had to cancel his press conference as he did not have any answer for the protesters. Following the Warsaw Summit and the Afghan government’s disgrace, protests of Hazaras continued. However, the government stubbornly neglected to pay attention to their protests. The government had over one month to enter into negotiations with protesters. Instead, by giving empty promises, authorities tried to persuade traditional Hazara leaders to leave the protesters and to end their protests. MP Mohammad Mohaqiq, Karim Khalili former Vice President of Afghanistan and other traditional Hazara leaders initially stood with the people at the outset of the protests, but later they left the protesters and their cause, likely for reasons of political convenience. 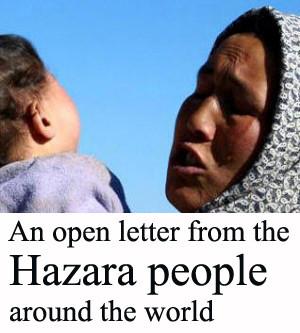 Currently Hazaras have withdrawn support for the traditional Hazara leaders. Thus, despite having lost most of their influence on the Hazara population, these leaders try to symbolically take part in decision-making by standing with the government. 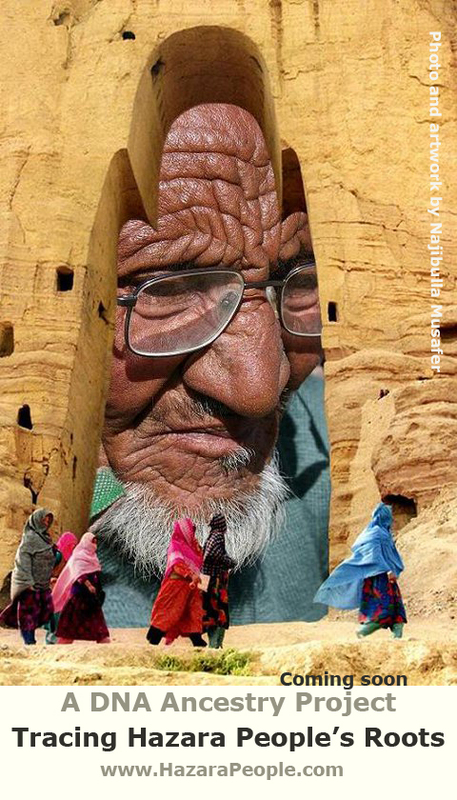 Currently, a significant change has come about regarding Hazaras’ perspective of their traditional leaders. The majority of Hazaras do not want to follow their traditional leaders anymore. Instead, they support the new and educated generation in a bid to create a new leadership in the Hazara community; an innovative act which is not tolerable for both the government and Hazara traditional leaders. The new generation of educated Hazaras have come to the political arena with a new tool as all of them are familiar with the latest political affairs and their demands are unchangeable. They know that one cannot rely on the empty promises of the Afghan government and traditional leaders. Furthermore, they try to expand the changes brought to the Hazara community among other ethnicities of Afghanistan, reaching out to activists from other ethnic communities in an attempt to build bridges. Enlightenment Movement’s public demonstration, which was to carry on for an unlimited time, started at 7 am, the 23rd of July 2016 from Dast-e-Barchi in West Kabul. Dasht-e Barchi is a Hazara majority area in Kabul. The streets were full of protesters. Old and young women were marching in front of the protesters carrying bunches of flowers in their hands. Many children were also walking alongside them. The number of female protesters was significant. In recent years, it was the first time Kabul witnessed such a large crowd mixed of men and women in a male-dominated Afghanistan. The nightmare of the potential massacre, of the bloody crackdown, had turned real. Two hours after the attack, the Afghanistan Intelligence Service, the National Directorate of Security (NDS) announced that has been carried out by Daesh, a local branch of the Islamic State, and was organized from the Achin district of Nangarhar in eastern Afghanistan. Later Daesh (IS) announced that they had not carried out the attack on the 23rd July protesters. The surprising thing after the attack was that the Taliban followed a similar line sketched by the NDS. Strikingly, both the Taliban and NDS sent similar statements to media. Both had attempted to direct public attention to IS. At the same time, the NDS announced that the explosive used in the attack was the type of RDX which is only accessible to the military. After the crowd was forced to leave, the Afghan government cleared and water-washed the scene of the tragic massacre in order not to leave any sign for later investigations about the deadly attack. This act of the government further strengthened suspicions of the government’s hand in the attack. The day after the attack, Ashraf Ghani assigned a truth-finding commission to investigate the attack on the Enlightenment Movement’s protesters. But the Enlightenment Movement and families of the victims rejected Ashraf Ghani’s commission and asked the United Nations for an impartial investigation of the massacre of their loved ones. 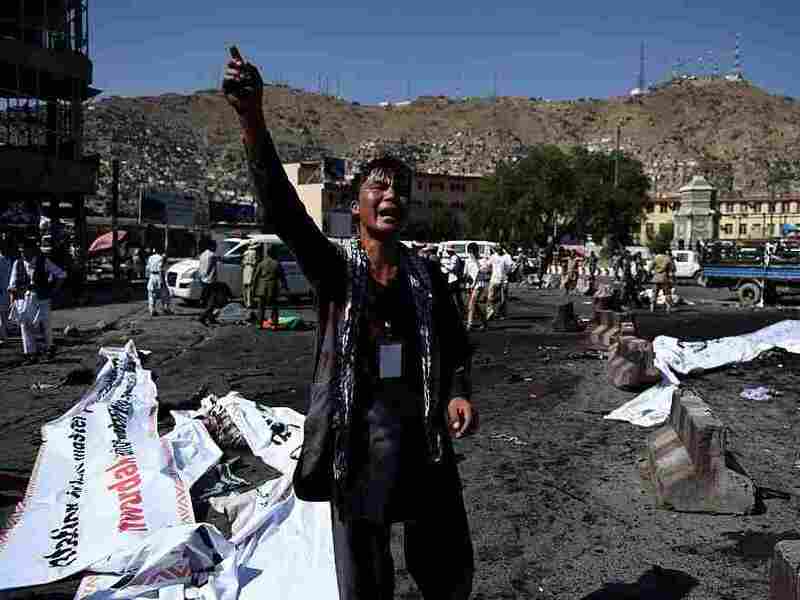 Hazaras suspect that this attack targeted them specifically, and that some of Ashraf Ghani’s government officials were behind the attack on their fellow community members. The Afghan government is a suspect in the attack and does not have the authority and legitimacy to assign a truth-finding commission. While the Enlightenment Movement and Hazara people have asked for a UN truth-finding commission, they set a deadline, the 40th day after the attack, which is a traditional day of remembrance for people who pass away or are killed, for the government to respond to the Enlightenment Movement’s demand positively and route the 500 kv imported power transmission line from Turkmenistan to Afghanistan according to Afghanistan Power Supply Master Plan prepared by Fechtner, the German consultancy firm, via Bamiyan and Maidan Wardak provinces. After the massacre of peaceful Hazara protesters and on the burial day of victims who lost their lives, the Afghan government banned any demonstration and gathering for ten days. The government feared that the protest would spread on the burial day of the martyrs. At the same time, the government wanted to hide the extent of the tragedy by limiting people’s freedom to gather and protest and by censorship. However, Hazara youth across the world resorted to another innovative way of campaigning and raising their voices. They decided to coordinate a twitter storm in order to raise awareness about the demands and goals of the Enlightenment Movement. The twitter campaign was scheduled on 28 July and started at 9 am Kabul Time and continued till midnight. More than 8000 users from around the world joined the campaign with the #enlightenment hashtag. They sent more than 400,000 tweets with the #enlightenment and #EnlightenmentMovement hashtag. The campaign sent an average of 4000 tweets per hour, and around 897 thousand twitter users per hour viewed those tweets. It was an unprecedented social media campaign in Afghanistan. The literal meaning of their activism is that they cannot tolerate discrimination against their people anymore. They will continue their struggle until their demands are met. 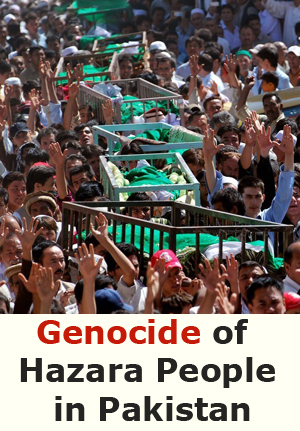 The international community has also not tried to recognize the hands behind the Hazara massacre. This negligence and underestimation from the international community’s side, leaves a narrow space for a non-violent struggle against systematic discrimination. While their peaceful protests are targeted and their screams for justice fall on deaf ears, Hazara people of Afghanistan are showing themselves to be so resilient that it will be very difficult to silence their voices any longer. There will come the day in which our people and our peaceful struggle will be remembered and celebrated, maybe not today, but it certainly will happen. Be sure about that. Basir Ahang is a Hazara poet, journalist and human rights activist from Afghanistan.